Saving the world one lolly at a time! 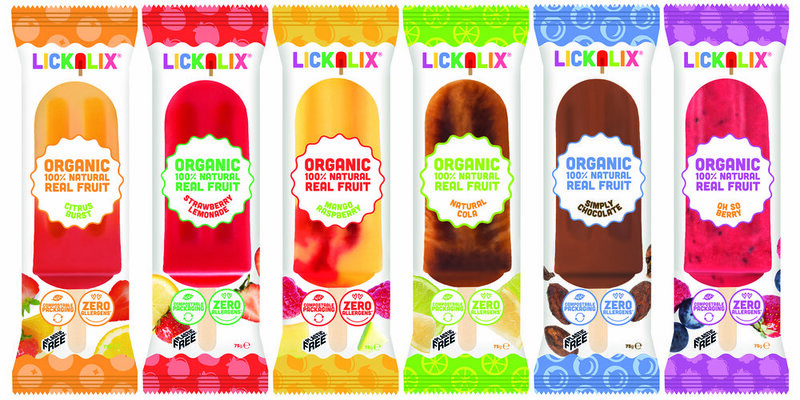 LICKALIX is committed to helping our planet by investing in 100% compostable, plastic free packaging. We are the first brand in the frozen and ice cream category in all of Europe to be rewarded the PLASTIC FREE trust mark! Our packaging will now have the world's first PLASTIC FREE TRUST MARK. A mark designed for the shopper, not for industry. Designed to sit clearly on the front of pack and it will simply tell the consumer: THIS PACKAGING IS PLASTIC FREE. Our packaging was approved by A Plastic Planet's Plastic Free Panel of world experts in all packaging materials allowing us to use this trust mark on our ice lolly impulse and multipack packaging. We are so excited about this new logo accreditation. Hopefully this is the start of exciting things to come - more innovation, and more likeminded brands and consumers making positive switches towards reducing our reliance on single use plastic. Until there is a better solution for disposing of plastic or plastic alternatives, we believe that compostable is an easy at home solution for our consumers to go #plasticfree. Our lolly lovers can simply throw our lolly wrapper in with their food waste bin to compost bin. Plant-based compostables + food = compost to feed UK soils. Compostable is different from biodegradable because compostability means the packaging can break down in under 12 weeks in composting conditions and is therefore suitable for industrial and home composting. Unlike biodegradable materials that take months to break down and releases harmful substances into environment. how to compost our packaging? Step 1 - Enjoy our delicious ice lolly! Step 2 - Throw our wrapper into your home compost bin with your food waste or in your food waste for your local council to take to the industrial compost facilities. If you are out and about, we recommend you to ask your retailer to throw our wrapper into their food bin / compost bin. If they don't have one, we recommend folding it up and safely storing it until you get home. To put it simply, it's made from sustainable plant-based materials (wood pulp).